This mural had to be big enough to been seen from the street beyond a grassy field. 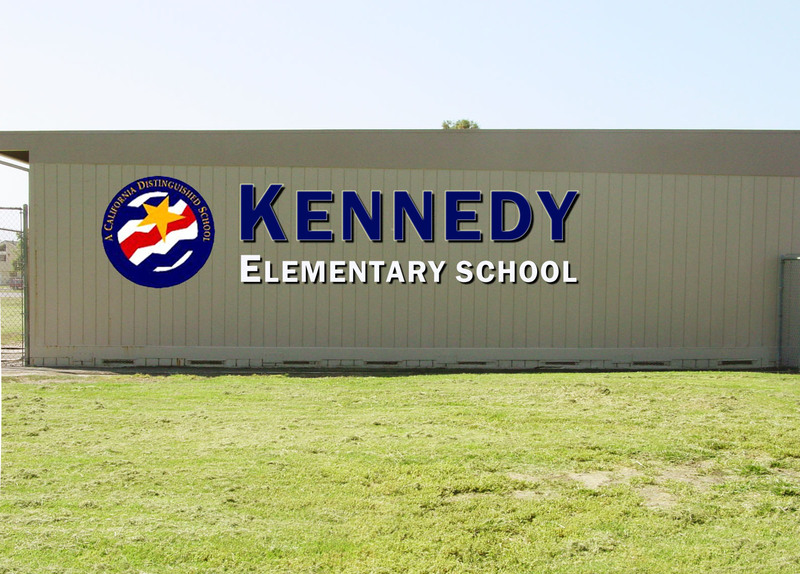 The Kennedy name is 30″ lettering and the Elementary School is 15″ high. I had trouble with the paint bubbling after the sprinklers hit it, so it took one tough day extra. Scraping, sanding, and new paint, but came out beautifully. Now I working on a 6′ round wooden sign with the Distinguished School logo to be bolted onto the brick face of the school MPR. Previous PostScience Lab DNA Mural, school mural.